It's Not Work, It's Gardening! : You're grounded! It all started the previous weekend when I went to the winter garden talk at Schlafly Gardenworks, the large (compared to mine) urban garden that grows food for their restaurants. Jack (the head gardener) mentioned at the talk that they have a big pile of used coffee grounds, and that anybody is welcome to come and take some. I got in contact with Jack during the week to talk about bamboo, and Jack asked what I fertilized my bamboos with, quickly following that question by asking if I wanted to try coffee grounds. Apparently there weren't many (any?) takers on his offer at the meeting. So on a warm sunny afternoon I drove down there during my lunch break and picked up several bags of the grounds, then spent an hour or more just chatting with Jack while he worked in the garden. It was one of those "recharge" afternoons, if you know what I mean. Warm sunshine, talking about plants, shovel in the ground (or coffee grounds pile). Just wonderful! I was concerned about the acidity of the grounds, but Jack explained that the brewing process removes most of the acidity, and that the spent grounds are only slightly acidic. I found some other references that confirmed this, and my own soil acidity meter showed they were essentially neutral. (Although my meter may not be working, as I tested it in some vinegar and it still read "neutral".) Note that I also found plenty of sites that indicate that coffee grounds are highly acidic (5.0 or even lower!) but those seemed to be based on old research, or were just repeating the same information. I trust this page about coffee grounds, from Oregon State University, and they say the grounds are neutral. The grounds are a good source of Nitrogen, but it won't be immediately available to your plants -- it needs to be broken down first. The OSU page talks about using it in compost piles, but Jack uses it directly in his beds. Not only is it a great source of organic matter, but it apparently attracts earthworms, repels or kills slugs (the caffeine is toxic to them), and can also kill some soil-dwelling pests, and leaf-dwelling ones when used in a foliar spray. 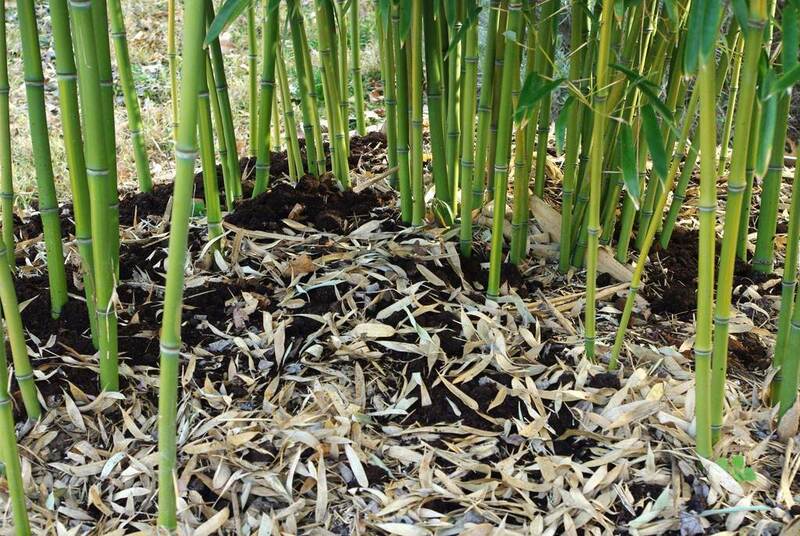 So I added loads of it to each of my bamboos, along with the organic fertilizer I normally use (Milorganite). I pulled back some of the mulch in order to get the grounds into contact with the soil, but also just dumped grounds on top of mulch -- removing all of the mulch would have been a lot of work. I had placed them there last year when I remade the bed adjacent to this box and liked the way they looked, so left them. I don't want them to interfere with any of the shoots this bamboo will be producing this spring though, so it's time to move them. This plant usually starts shooting mid-April, but this mild winter who knows? I suspect things will wake up earlier than usual, but we'll see. 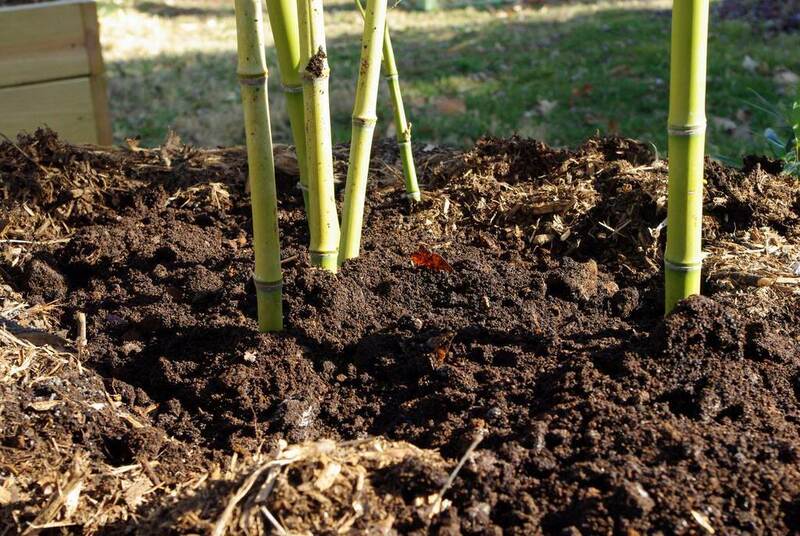 So most of the bamboos got a few shovels full of used coffee grounds. I'll see if that makes any difference on growth, pest damage, or any other noticeable aspect. It may be difficult to tell this year, since mild winter should result in big growth increases in all of these bamboos -- I won't know if it was the coffee grounds that produced the results or some other factor. 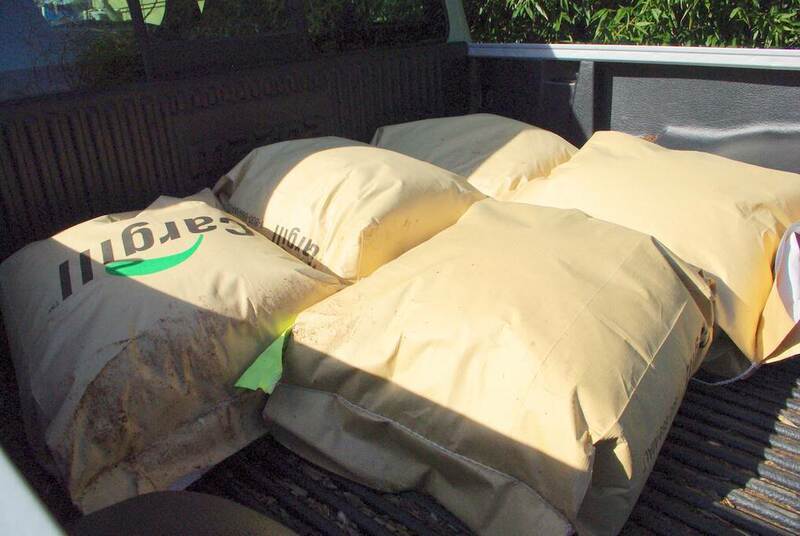 Since I didn't have enough to use on all of my bamboos, I went back yesterday and got a few more bags which I haven't yet spread (garage smells great!). 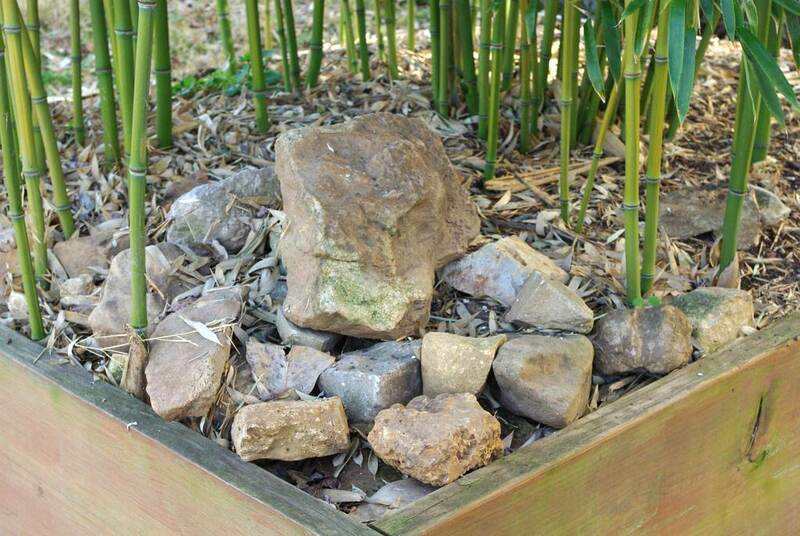 I'm planning on using it not only around the rest of the bamboos, but in the veggie beds too. I've seen Jack's results with his veggies, and he's definitely doing something right! I have a feeling that coffee grounds will become one of my favorite soil amendments and bamboo mulches. It certainly makes my yard smell delicious! Great post! I've been wanting to do the same. I did some research last year and came to the same conclusion you did, i.e. 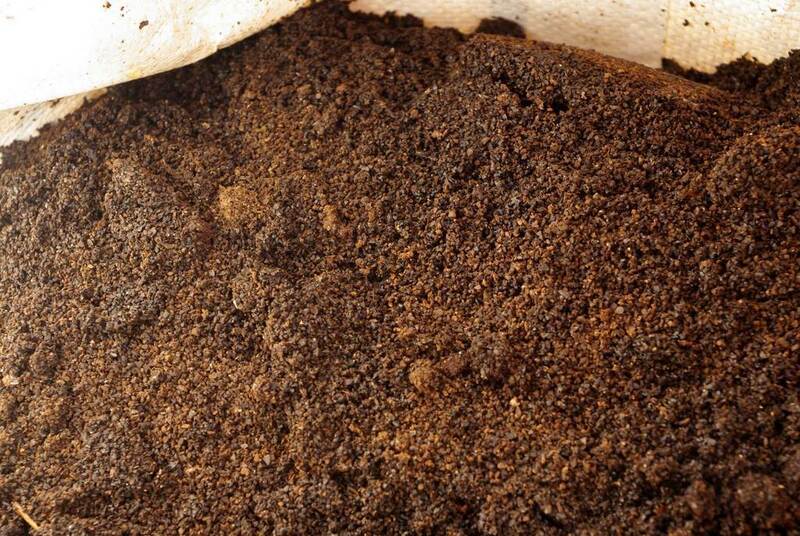 coffee grounds are essentially neutral or a touch acidic. That is great for us since our soil is alkaline. You've inspired me to ask the coffee shop up the street for some grounds! I am so jealous! The one espresso shack I inquired of for grounds wanted more for their buckets of used tat than three times the volume purchased as top grade organic fertilizer at the local garden center. I sniffed at them and drove away. I haven't had the heart to ask other places. I'm going to be really interested to see what you discover about this experiment. I wasn't really clear on how much grounds I actually got. Those bags in the first photo are 55 lb. grain sacks. I estimate each bag was about 35 lb. when filled, so that's 175 lb. of grounds. On the first trip. (I went back for more remember.) Fantastic resource! If any of you live near a Starbucks (and really who doesn't? Except me, unfortunately) they bag up their grounds and give them away for free. Also I've heard that grounds can be toxic for your pets. Coffee grounds are only mildly acidic after composting, prior to that the PH can be nuetral to very acidic depending on how they where brewed. Here in the south western New Jersey we are already acidic with PH values around 6.0 to 6.5 if near a house structure. 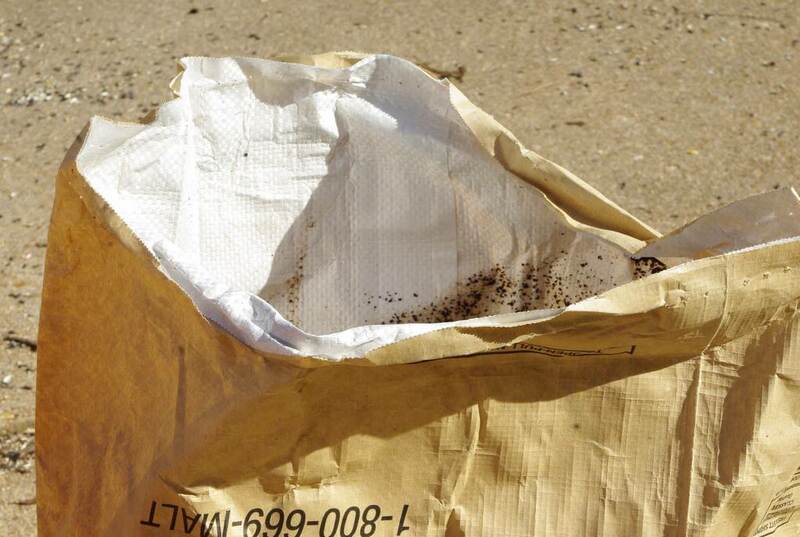 I have personally killed plants in the past with coffee grounds mostly due to our already acidic soil. 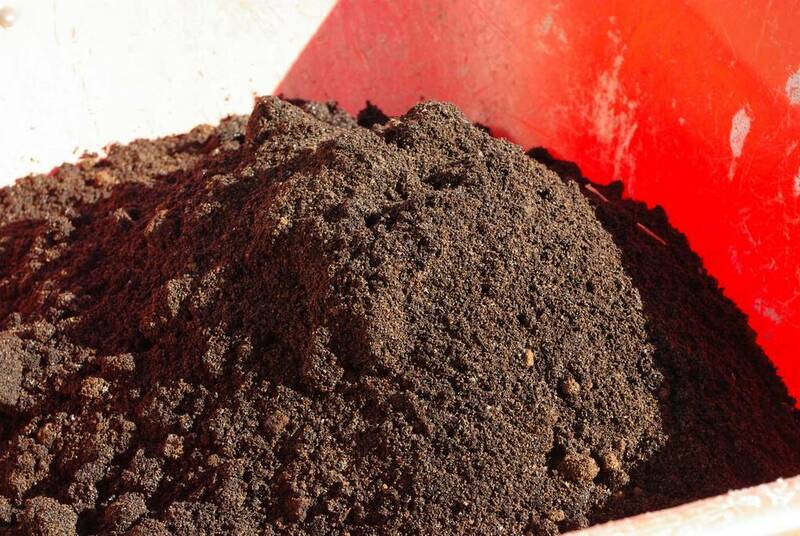 So has a fair warning if your soil is already borderline acidic, consider composting coffee grounds first. M: Good info! Can you point me to some sources that indicate that some brewing methods can leave the grounds as quite acidic? I want to research this as thoroughly as possible. In my case it's nice to know that a local grower uses them with no issues -- it gives me more confidence to just dive in. I thought that the foundations of buildings (if concrete) made the nearby soil more alkaline, not acidic? I'm envious of your haul. A few years ago I would pick them up at Starbuck's but often they had the paper inside which was a devil to deal with. Maybe I'll drop by there again sometime. Thanks for reminding me. hello,after those years,is good to use coffee grounds for bamboos?